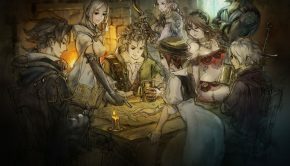 When a video game soundtrack includes remixes of its most memorable musical moments, that’s a real testament to the quality and completeness of the original soundtrack. 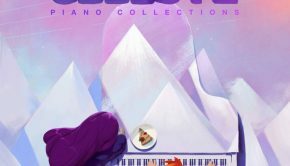 Celeste not only features a well-received musical score by Lena Raine, but even packs in a handful of remixes handled by industry vets and newcomers alike. These tracks are collectively available on Celeste’s companion album, B-Sides, which Lena describes in a recent interview with VGMO as a chance to collaborate with “people whose music I love, and people who I’ve always wanted to work with.” Does this lineup of electronic musicians assembled by Lena herself do justice to the source material? 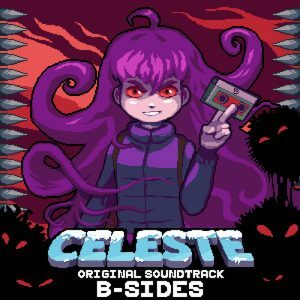 First up on Celeste B-Sides is “Forsaken City (Sever the Skyline Mix)” – a fresh take on “First Steps” by the electronic jazz and VGM artist Maxo. This remix sports a piano texture similar to the original and keeps the main melody front and center, but comes into its own thanks to the bubbly synth bells and whistles alongside some popping staccato arpeggiation. 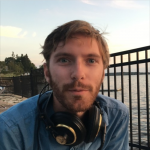 Then comes “Old Site (Black Moonrise Mix),” a reimagining of “Resurrections” by Ben Prunty of FTL and Into the Breach fame. 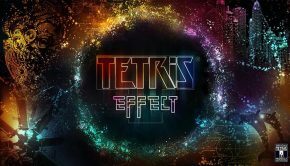 The chiptune arpeggios and menacing rendition of the main melody remain intact – but rather than rushing to reintroduce these elements, Ben takes the first minute to establish new instrumentation. With a variety of pitched percussion instruments at his disposal, Ben takes the sinister tone of the original track and amplifies it, bumping up the intensity a little later on with grungy guitar. “Celestial Resort (Good Karma Mix)” comes to us from Christa Lee, whose jazz sensibilities elevate the whirling etherial lead from Celeste’s haunted hotel level to new heights. Christa’s remix is easily the wildest and funkiest out of all the B-Sides submissions, with a steady dance beat and a brilliant Dm —> Db aug —> FM7 —> Em7 chord progression punctuated by a syncopated piano. The contrast is so stark between the remix and the source material’s cartoonish vibe that it makes comparison difficult. Taken for its own merits, however, the track is an absolute highlight of the B-Sides collection. The same could be said for In Love With a Ghost’s remix of “Golden.” Dubbed “Golden Ridge (Golden Feather Mix),” In Love With a Ghost’s contribution is brimming with a radiant electronic warmth that its original counterpart never implied. Yet the pulsating harmonies and wailing lyrical lead, interrupted by occasional kicks and snaps, work together to achieve a glorious hypnotic effect that makes the track yet another standout moment in the collection. “Quiet and Falling” is tackled by 2064: Read Only Memories composer 2 Mello, in the form of “Mirror Temple (Mirror Magic Mix).” 2 Mello does away with the original’s tear-jerking rubato and spices up the material with a swinging drumbeat, plucky vibes, warbling electric guitar and groovy piano chromaticism, tossing in a gliding synth lead and soft trumpet for ornamentation. The new direction makes for an interesting, upbeat take on what was once one of Celeste’s most understated and somber tracks. With “Reflection (Center of the Earth Mix),” Nuclear Thrones’ Jukio Kallio takes “Confronting Myself” in a new direction of its own. While keeping the iconic chants of the original in place, Jukio re-contextualizes them with a slow buildup of electric guitar and deep, resonant percussion. Only for a brief instant towards the end of the track does Jukio’s remix allude to the source’s franticness. Even without that intensity, the new remix retains the same epic sense of peril as its counterpart. Of all tracks to remixed for the B-Sides project, “Reach for the Summit” deserves the most attention for its critical role in the original album. So it only makes sense that, here, Lena Raine would take the reigns herself. 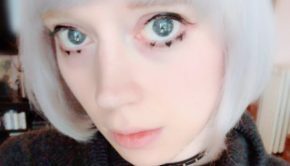 Rather than taking a second shot at an all-encompassing medley, “Summit (No More Running Mix)” churns out eight minutes of trancelike material, with the main melody peppered in for good measure. The remix is so smooth and uniform that it comes across a bit flavorless over time, even if by design – though because of that same smoothness and uniformity, the remix also feels more in character with Celeste’s original soundtrack than do any of the other B-Sides. “Heart of the Mountain” falls to Matthew Seiji Burns and his track, “The Core (Say Goodbye Mix).” What starts as an icy, desolate revisitation of the source’s melody soon melts into a rich synthwave soundscape with warm pads aplenty. As with the preceding remix, Matthew’s contribution doesn’t call much attention to itself but serves as solid multilayered ambience. Last but not least is a special inclusion by Lena Raine: an unused demo track for the first level of Celeste. With its triplet-based time signature, fuzzy synth arrangement and general happy-go-lucky tone, this demo track is a peppy departure from the soundtrack that ultimately replaced it, and it hints at how differently Celeste might have turned out had it not settled on its less self-assured emotional core. Reflecting on her guidelines for Celeste’s various remixers, Lena recalls that she “wanted to give them total freedom to just express themselves.” That freedom is reflected in the variety of different approaches taken in revisiting Celeste’s music; and while the tracks vary in their level of faithfulness, the artistic liberties taken are respectful and often interesting. B-Sides is a consistently fun and at times exhilarating take on an already fantastic soundtrack, and fans of the a-side it’s based on will likely find themselves pleasantly surprised by what Lena and crew accomplish here. Posted on March 20, 2018 by Reilly Farrell. Last modified on March 20, 2018.